Andrea, our nurse practitioner, loves working at Remedy. She believes she has found the perfect niche that allows her to meld preventative and proactive treatments helping her clients bring out their best. 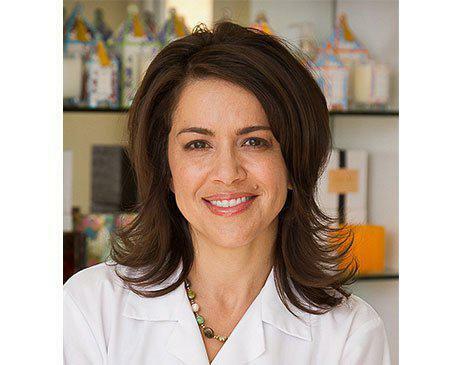 She has worked as a nurse practitioner in southern California since 2000. She obtained her Bachelor’s of Science degree in Nursing at UCLA in 1994 and worked as an ICU/ER RN until she returned to UCLA for her Master’s of Science in Nursing degree specializing in family practice. She joined the Remedy team in 2010. Andrea loves educating her clients so don’t be surprised if you leave Remedy with a firm understanding of the science behind the esthetics. When she’s not at Remedy, you’ll find her running around the community as the busy mother of three boys. She loves living in the area because it is so close to the ocean and the city and it allows her to easily go camping, mountain biking, running and hiking with her boys and 2 rescued dogs. Her favorite downtown venue is the Disney Concert Hall. When she’s at home she loves to curl up with a good book (while doing 50 loads of laundry).